Loft & Cellar opened in July 2017 under co-owners Jerry Mercer and Nicholas Daniels, the latter of whom served as Executive Chef. 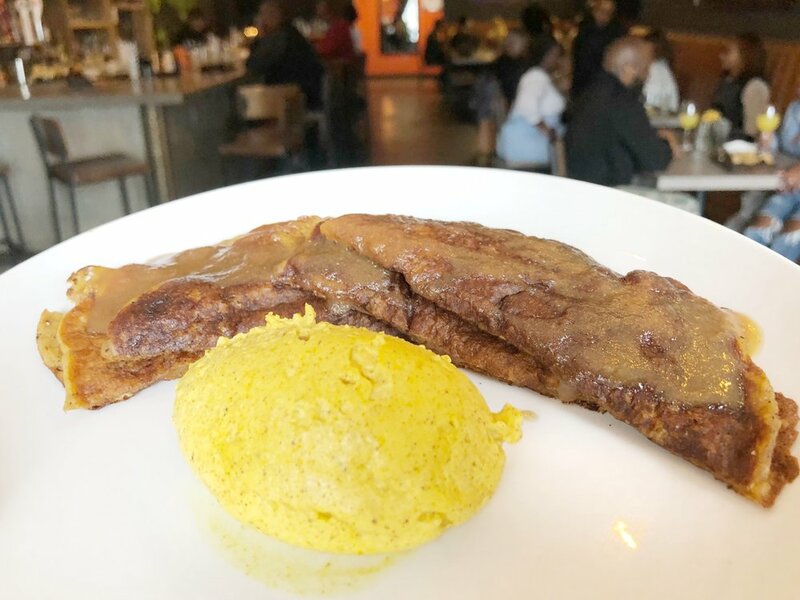 In September of this year, Daniels moved on, and Chef Greg Collier began his stint as the restaurant’s new Executive Chef. 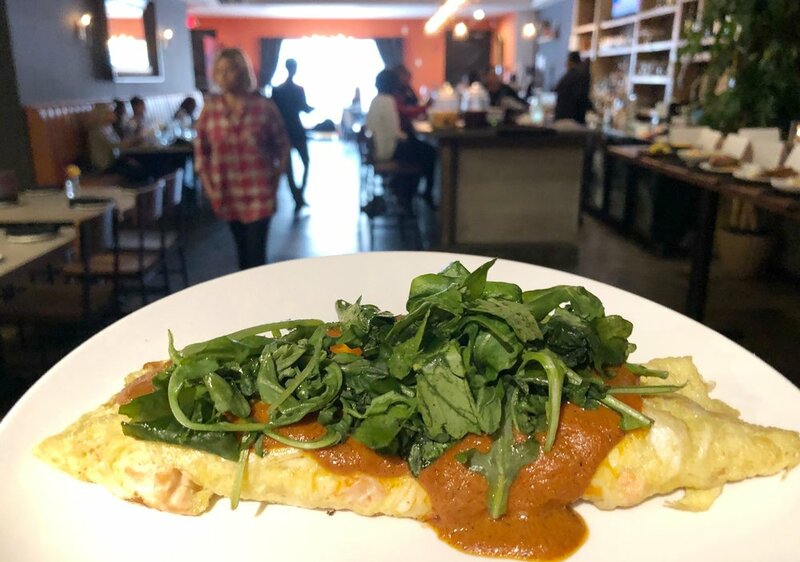 Collier is beloved in town for his popular Rock Hill restaurant, The Yolk. According to our lord and savior Kathleen Purvis, Collier plans to stay at Loft & Cellar for several months to get the restaurant on the right track. In that same article, Collier told Purvis that The Yolk would stay open while he was at Loft & Cellar, but since then, The Yolk has closed temporarily, until November 18th. We aren’t 100% clear, but it seems likely that it’s due to his stint downtown and his plans to open The Yolk at 7th Street Market. Scallionpancake visited Loft & Cellar in January, and, sadly, we were less than impressed. We found the layout of the restaurant awkward and uninviting. Jason also couldn’t get over the restaurant’s name, which was unfortunately opened around the same time as Merchant & Trade. Why, he wondered, was there a rash of new restaurants that just joined up two related words? It’s a fair argument (let us know if you can think of more restaurants that follow this pattern), and we then started calling Loft & Cellar by its new made up name, Table & Lamp. You’re welcome for that glimpse into our strange world. 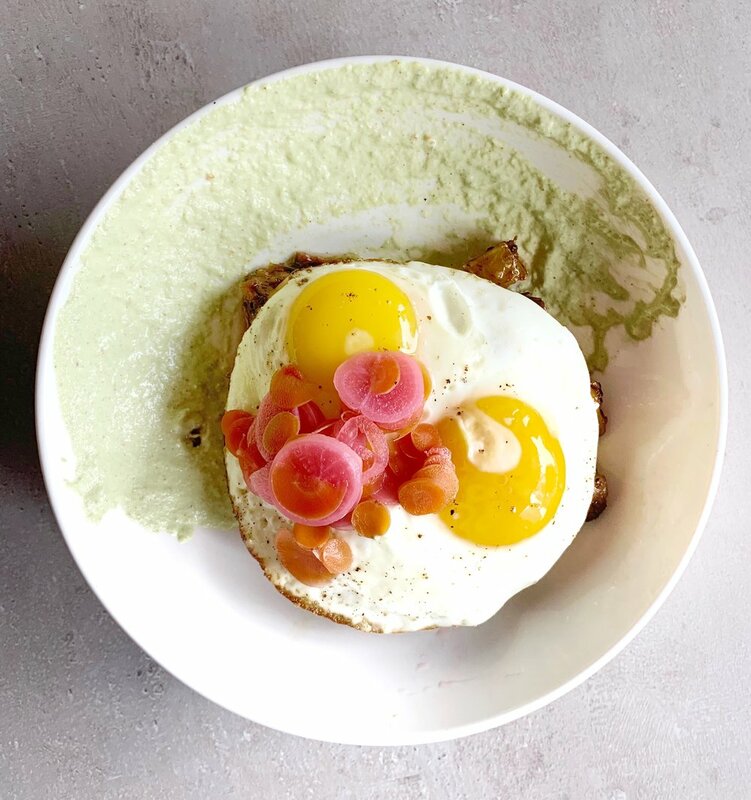 Recently, Collier and his team reached out to invite us to brunch to check out the restaurant’s new direction, and we were excited to try it out, as we are huge fans of The Yolk and Collier’s culinary talents. Read on to see a nearly complete sampling of Loft & Cellar’s new weekend brunch menu. Some items we got pictures of but didn’t get to try, so we will only comment on what we tasted. Fabulously spicy and flavorful. A great twist on a traditional Benedict. I think this dish is pretty brilliant, and I’ve never seen anything like it on any menu around town. I love the simplicity, and the sorghum butter and ham hock jam tasted like heaven. Love the bang for your buck you get with the seafood. The eggs could have used a bit more seasoning, however. We didn’t try this one, but cocoa biscuits sound and look amazing. We are definitely going back to try these. This was hands down my favorite dish of brunch. 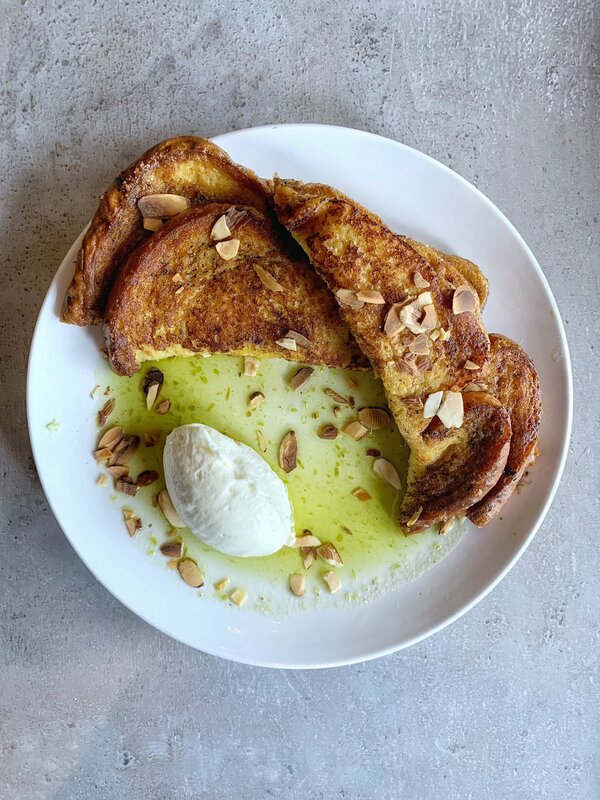 I don’t usually order French toast because it’s often dry and lacking dimension, but this french toast had multiple flavor profiles happening with the citrus, jalapeño, and white chocolate. The almonds provided a great texture. This typically comes with a side of breakfast meat, so it’s a complete meal. We will definitely be back for this one! Another favorite. the curry whipped cream was delightfully unusual and gave the dish a subtle kick. Overall, we really liked everything we tried, and it was most assuredly a huge improvement from our pre-Collier visit. We’re excited to get back in soon and try the full menu. We saw many people eating chicken skins with buttermilk chive dip, and that’s going to be our number one priority next time we’re in. Brunch is offered from 10am-3pm on Saturday and Sunday. It’s $25 for three courses, which we think is a pretty great bargain for all the food you’ll get. We only had coffee on our recent visit, but they offer mimosas and Bloody Marys for brunch. On our previous dinner visit, we tried a banana bourbon shot that Jason loved. Not sure if that’s still available, but if it is, it’s worth trying. We still find the layout awkward. The booths are oddly placed, there’s little decor, and the whole effect is rather barren. However, during brunch, there was a solo guitar player who made the ambiance much more welcoming. We’ve never been upstairs to the “loft,” and we’re curious about what’s going on up there. Apparently this space gets a big bar crowd on the weekends, and we aren’t sure if upstairs is overflow seating, or some kind of magical dance floor that we’ll never be cool enough to see. Chrissie Beth & AJ sighting! We are going to reserve judgment on service until we visit one more time under Collier’s watch, as it can be difficult to gauge when dining at a media event. The first time we went, pre-Collier, the service was lackluster, and our waitress argued over a dish someone in our party (justifiably) wanted to send back, which left a pretty terrible taste in our mouths, pun intended. The staff seemed to be entirely new on this visit, so we have high hopes that the service snafus have been rectified. Opening up a restaurant called “Frankie & Ollie” seems like the obvious choice for us, right? ; When you go to The Yolk, make sure you get the Tennessee fries, which are home fries dusted with straight crack cocaine; Jk, but the home fries are the best we’ve ever had, and we aren’t sure what the heck makes them so good, except for undoubtedly some kind of devil magic; What is in the loft?! Is it a portal to another dimension where you can eat French toast with white chocolate whipped cream all day long and not get fat? We hope so.